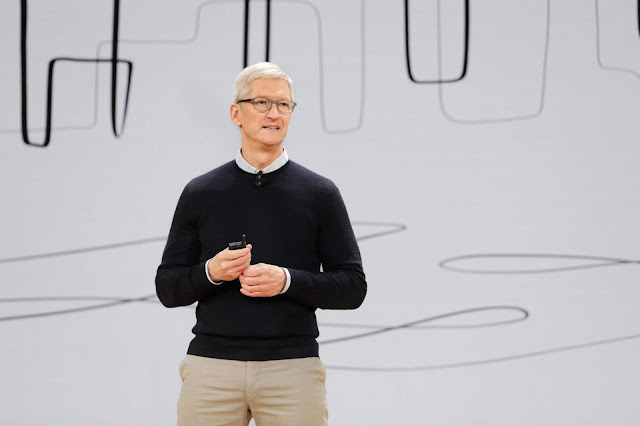 According to tweets from U.S. President Donald Trump, A scheduled dinner held between the U.S. leader and Apple CEO Tim Cook although it's currently unclear what would have been the topics of discussion and conversations surrounding the dinner. Just after Trump stated of having a phone call in French President Emmanuel Macron which discussed various subjects, He tweeted after stating of a scheduled dinner with Apple head and tech leader Tim Cook with the U.S. President stating "Looking forward to dinner tonight with Tim Cook of Apple. He is investing big dollars in U.S.A."
In the past, Both Cook and Trump have held discussions with the most recent taking place in April when the Apple CEO visited the White House. This current conversation is coming on the heels of a trade war between the U.S. and China which has been cited as bad for consumer spending as it would lead to increase in prices for American buyers. Apple also notably maintains key manufacturing facilities in the Chinese region where trade relationships with the U.S. have been damaged with the White House recently issuing billions of dollars worth of tariffs on more Chinese goods which have been met with correlative action from the country. Trump at his New Jersey resort this week has dined with over a dozen business leaders earlier this week where he discussed ongoing trade conflicts with several nations. The always tweeting U.S. President has taken to the platform to out several statements about ongoing trade activities with other countries.